Krugman’s got his figures half-way done, and the numbers already show that the stimulus package Congress has before it is too small to do the job. Obama had the right view: Yes, there is a lot of spending, that’s what a stimulus package is all about. I’m still working on the numbers, but I’ve gotten a fair number of requests for comment on the Senate version of the stimulus. The short answer: to appease the centrists, a plan that was already too small and too focused on ineffective tax cuts has been made significantly smaller, and even more focused on tax cuts. According to the CBO’s estimates, we’re facing an output shortfall of almost 14% of GDP over the next two years, or around $2 trillion. Others, such as Goldman Sachs, are even more pessimistic. So the original $800 billion plan was too small, especially because a substantial share consisted of tax cuts that probably would have added little to demand. The plan should have been at least 50% larger. My first cut says that the changes to the Senate bill will ensure that we have at least 600,000 fewer Americans employed over the next two years. The real question now is whether Obama will be able to come back for more once it’s clear that the plan is way inadequate. My guess is no. This is really, really bad. Is there any economist who thinks the situation is not so dire, or that this legislation spends enough money? Politics triumphs over economics, common sense and national welfare, once again. Call your Congressional representatives, let ’em know your thoughts. Update: I regret I didn’t make the connection earlier — go read “The Pony Chokers” at Edge of the West. Don’t let stiff-necked Congressional representatives choke your pony. If you saw the notice on the original study, you knew this one was coming. A team of researchers checked two things in college freshman: First, how much science they knew, sort of a trivia catalog; and second, how well they could use their reasoning powers. The study showed Chinese students way ahead of U.S. students on simple knowledge of science facts. But the study showed little difference in powers of reasoning of the two groups. Wait, don’t jump to conclusions. That’s what the creationists did. Check out Ed Yong’s post and analysis of the study, at Not Exactly Rocket Science (with ensuing good discussion). If knowing a lot of science doesn’t improve logic, why bother to learn science? the creationists asked. Especially, why not teach creationism in biology, since teaching evolution seems to them rather authoritarian. Could you make this stuff up? The research appears in the January 30, 2009 issue of the journal Science. Lei Bao, associate professor of physics at Ohio State University and lead author of the study, said that the finding defies conventional wisdom, which holds that teaching science facts will improve students’ reasoning ability. Bao directs Ohio State’s Physics Education Research Group, which is developing new strategies for teaching science, technology, engineering and mathematics (STEM) disciplines. For this study, he and his colleagues across the United States and in China decided to compare students from both countries, because the educational systems are so different. In the United States, only one-third of students take a year-long physics course before they graduate from high school. The rest only study physics within general science courses. Curricula vary widely from school to school, and students can choose among elective courses. In China, however, every student in every school follows exactly the same curriculum, which includes five years of continuous physics classes from grades 8 through 12. All students must perform well on a national exam if they hope to enter college, and the exam contains advanced physics problems. The students who participated in the study were all incoming freshmen who had just enrolled in a calculus-based introductory physics course. They took three multiple-choice tests: two which tested knowledge of physics concepts, and one which tested scientific reasoning. Did you see anything there that suggested that NOT learning science facts is a good idea? Tom Gilson at Thinking Christian used the study as a springboard to rail at evolution in biology curricula, and at the National Center for Science Education, calling the study (somewhat tongue in cheek, I think) “terribly dangerous.” No, that doesn’t make sense, but it gets stranger as he explains in comments that he’s not advocating creationism or intelligent design, either. 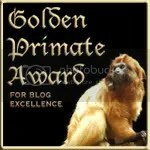 But nothing in the study suggests any serious problem with the teaching of evolution theory. Where did Tom get that idea? Bao explained that STEM students need to excel at scientific reasoning in order to handle open-ended real-world tasks in their future careers in science and engineering. Ohio State graduate student and study co-author Jing Han echoed that sentiment. “To do my own research, I need to be able to plan what I’m going to investigate and how to do it. I can’t just ask my professor or look up the answer in a book,” she said. “These skills are especially important today, when we are determined to build a society with a sustainable edge in science and technology in a fast-evolving global environment,” Bao said. He quickly added that reasoning is a good skill for everyone to possess — not just scientists and engineers. “The general public also needs good reasoning skills in order to correctly interpret scientific findings and think rationally,” he said. Telic Thoughts seized on it , too. That’s not what the study says. First, the study says Chinese students know more science than U.S. students. This is worrisome for the U.S. While the study shows that entering freshmen are no better at critical thinking than U.S. students, the fact remains that more Chinese students graduate with science degrees. Then a lot of them come to the U.S. to get advanced degrees. Even the radical right wing National Center for Policy Analysis worries about the number of Chinese engineers and scientists U.S. colleges and universities graduate. We’re behind in this race for brains and skills. Second, researchers showed that freshman science students need to improve their reasoning skills, in both China and the U.S. Look hard at any creationist claim — they won’t argue for more education to improve reasoning. We need to note what this finding is not: It’s not an indictment of science education. It’s not a call to stop or slow down science education. It defies “conventional wisdom,” but it’s not an endorsement of knocking down science education as a result. Third, the study only identifies what might be a problem. High school graduates in their first year of studying science in Chinese and American universities are not very sophisticated in their science reasoning. Is this a problem? Is this a skill that should be learned in high school? Or, is it a skill that is better taught after the freshman year, at college? This study was a snapshot, not a longitudinal study. It did not purport to show when or how to best instruct on the reasoning processes necessary for a successful career in science. In particular, this is not an indictment of biology education in the U.S., nor especially an indictment of education in evolution theory. It’s possible to suggest that Chinese students know more evolution than U.S. students. That’s a far sight from saying education in evolution theory doesn’t work. Podcast from the Science Friday site, for download. Story at Inside Higher EdAfter taking the Force Concept Inventory — which tests basic knowledge of mechanics — the Chinese students had an average score of nearly 86 percent, and the American students had an average score of around 49 percent. Although the Chinese students had a relatively narrow distribution of scores near the upper end of the grading spectrum, the American students had a greater distribution in the “medium score range” from 25 to 75 percent.Bao, said he believes this is reflective of the American system of secondary education, in which students have varying exposure to physics. The study notes that only a third of American students take a physics course in high school. In China, students take physics courses from the 8th through the 12th grades. Lei Bao will present at the American Association of Physics Teachers Winter Meeting in Chicago, February 12-16, 2009; he is scheduled for several different sessions, on February 16, on topics surrounding this paper, at H-Skywalk 260, starting at 10:25 a.m.
Pillhead weighs in on the study; has Gilson banned him yet? 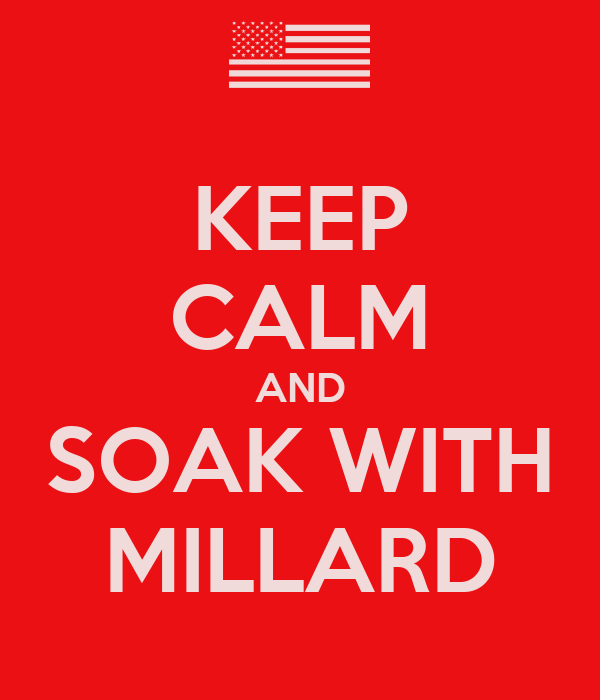 You are currently browsing the Millard Fillmore's Bathtub blog archives for the day Sunday, February 8th, 2009.